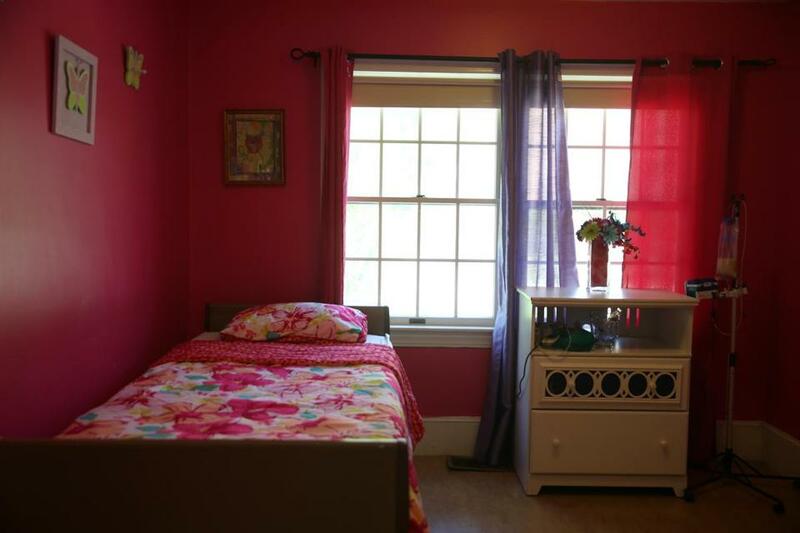 One of the bedrooms in a Mattapan group home operated by Bay Cove Human Services. It’s even more challenging when dementia or Alzheimer’s disease enters the picture. Now imagine an elderly person with Alzheimer’s and a developmental disability, such as Down syndrome or autism, as well as a behavioral disorder like hoarding. Those are the types of clients who are served by Bay Cove Human Services, a Boston nonprofit that runs group homes for developmentally disabled adults. Many of them have multiple problems — not just age-related issues, but also low language skills and obsessive tendencies — that make traditional housing inadequate for their needs. So Bay Cove recently asked Boston Architectural College to redesign one of its group homes in Mattapan. The idea behind the partnership is that differently designed spaces might alleviate some of the residents’ difficulties. To combat dementia-related hoarding, residents will have open cubbies instead of closets with doors. Research suggests that hoarders may be less likely to accumulate unnecessary items if they can see all of their possessions, rather than having them hidden away in drawers and closets. The resulting architectural drawings were done by graduate students in the college’s Design for Human Health program, which creates more comfortable living environments for people coping with illnesses, injuries, or limitations caused by aging. To help residents who sometimes forget which bedroom is theirs, for example, the lower outer panel of their bedroom doors will be painted the same color as their bedroom walls. That color coordination functions as “a very subtle cue that this room is yours,” Cooper explained. To combat dementia-related hoarding, rooms will be outfitted with open cubbies and closets without doors, since research suggests that if hoarders can see their possessions instead of keeping them hidden away in drawers and closets, they’re less likely to accumulate more items. To prevent residents with violent tendencies from hurting themselves, selected cabinets will be outfitted with locks for the storage of sharp objects or other items that could injure. Another problem: Some Bay Cove clients communicate primarily by gesturing, and they become easily frustrated if they’re not understood. That can lead to a high level of agitation, including screaming. So the students recommended putting soundproof panels in some residents’ rooms to reduce noise, which may keep other residents calmer in the process. In a special touch, “some of them were designed specifically for each individual,” Cooper said, “so we have one guy who’s a real Red Sox fan, and the sound panel for his room looks like the Green Monster.” Another patient whom Cooper described as “a very formal Southern lady” has a panel printed with flowers, “like something you’d see in South Carolina,” she said. In other rooms, students suggested, televisions will be mounted near the ceilings so that if an agitated resident begins throwing objects, the screens are somewhat out of the way and less likely to break. And some toilets are equipped with more-complex flushing mechanisms to make it harder for disturbed patients to flush items like clothing, which sometimes occurs. “Design can mitigate some of these behaviors, and also bring about contentment and peace,” said Dak Kopec, who directs Boston Architectural College’s Design for Human Health program and oversaw the students’ work. Bay Cove paid $2,000 for the students’ designs — the money will be used for scholarships — and estimates that the suggested changes to its Mattapan group home will cost $50,000. It hopes to begin the redesign this summer. People with developmental disabilities sometimes scream when they become agitated, and soundproof panels help dampen the noise. Some soundproof panels will be covered with art, like this nature scene for a resident who likes the colors pink and purple. Some research shows that views of nature have a calming effect.